Click a link on the left to Navigate through the Galleries. "I paint experiences from my life because this is what I know best. I am not concerned with adapting my art to satisfy public trends or needs; I am trying to produce art that is honest instead of commercialized and cliche. This autobiographical approach to art making is not self-indulgence because every image explores a universal truth about being human. I'm interested in exploring the place where the intimately personal merges with the universal. Frida Kahlo did this exceptionally well. She painted the specifics of her life that also related to a larger common human experience. We can understand Frida's paintings because we've all experienced suffering, love, life, and death. My paintings are inspired by an illness that led to the surgical removal of a portion of my lung on the eve of my 21st birthday. As a result of nerve damage sustained during the surgery, I experience constant pain on the left side of my body. To manage the pain, I have undergone painful nerve injections to block the nerves that are the cause of the pain. When these failed to produce any relief, I underwent another surgery to implant an electronic stimulator that constantly sends an electrical impulse to my nerves. The stimulator had only limited results, and I still experience pain constantly. Therefore, I feel an intimate connection to Frida and I have gained a greater understanding of who she was and why she painted what she did. In this way, I consider Frida to be a major influence in my art, as well as in my life; and I hope to continue my art in the spirit that she started almost a century ago." 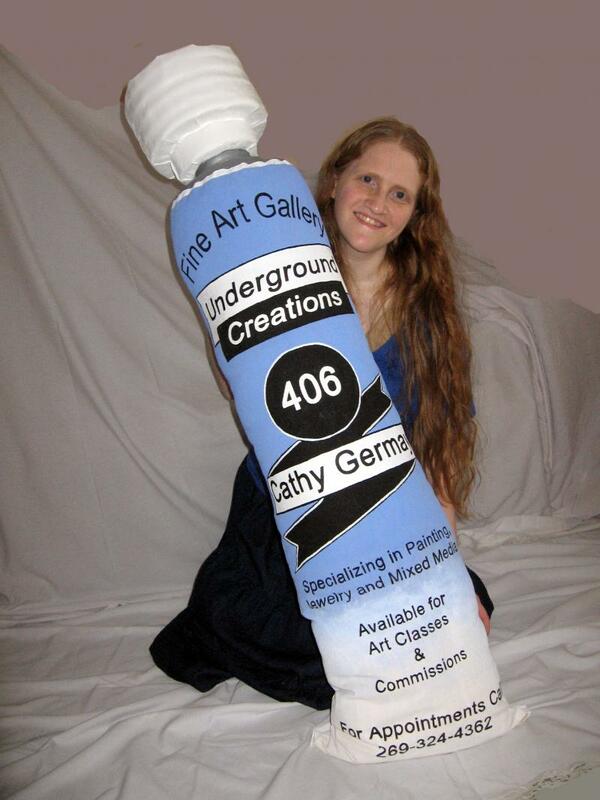 Welcome to the World of Contemporary Artist, Cathy Germay. I hope you enjoy the images displayed here, they have been a labor of love. Please proceed with humor in your heart, an open mind, and a willingness to contemplate your own mortality.